Service area for rolloff dumpster rental agent near Watervliet, NY. ​Our business reputation is built on a foundation of providing an excellent personal, competitively price dumpster rental service to residential customers in our service area. You will recognize our bright red roll off dumpsters anywhere in a 25 mile radius centered around Latham and Watervliet, NY. 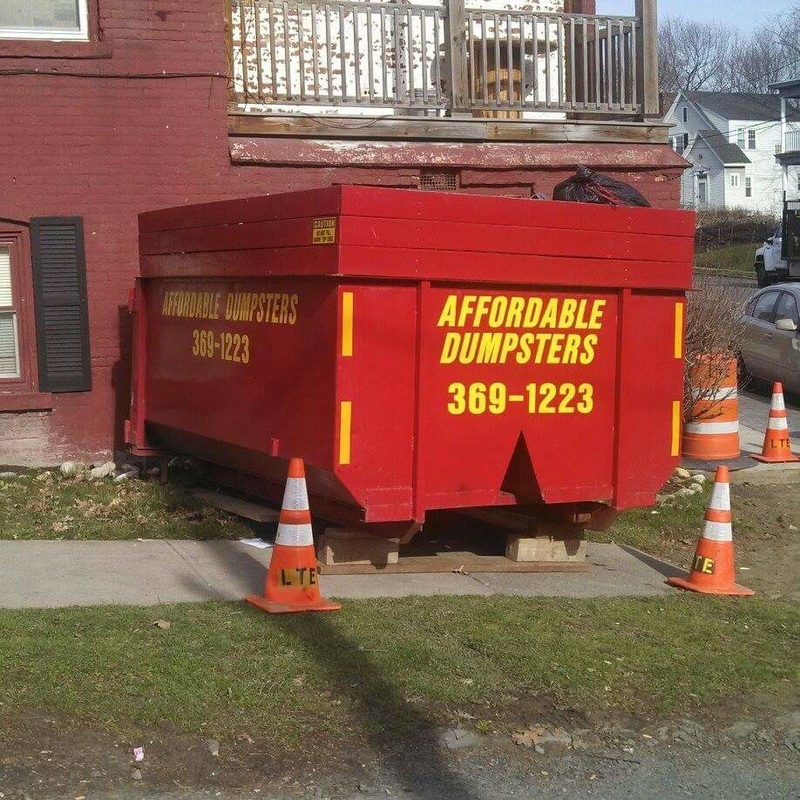 We paint our trash containers red because we are the “original” affordable dumpster service and we want people to be sure to recognize us. Many of our dumpster competitors also make claims of being affordable, but if you give us a chance we will show you the first class service that is the best in the small to medium size dumpster business. We always treat your property with respect. Affordable Dumpster uses a “Driveway Friendly” placement to protect your black top from damage. We take great care in placing dumpsters into the tightest , narrowest driveways. You can trust us to treat your property just like it was our own. We have been serving Albany Capital District for over two decades. We are all about our customers and we provide a high level of personal service that you just do not get from large dumpster companies. We take our customers seriously. We provide fast, friendly dumpster drop off and pickup that keeps our customers coming back year after year. We appreciate the referrals that come our way from satisfied clients. Call us today and let us show you our appreciation. 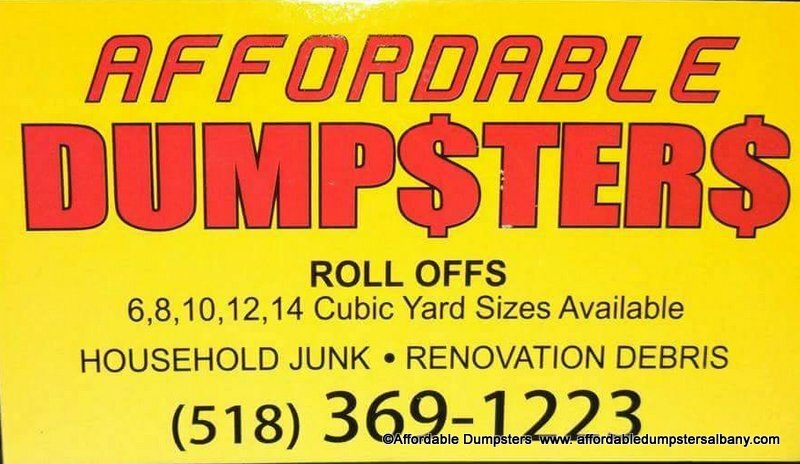 The ORIGINAL Affordable Dumpsters providing roll off dumpsters to the capital district for two decades.